Windows 10 Enterprise provides all the features of Windows 10 Pro, plus additional features to assist with IT-based companies. There are two core Win 10 Enterprise offers: E3 and E5. Each of these can be purchased on a per-device or per-user basis. 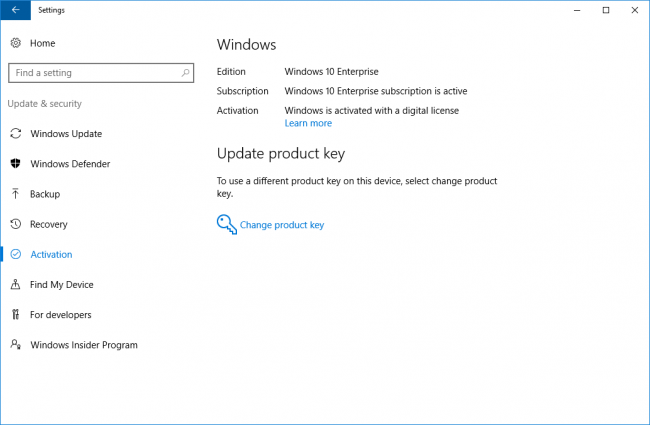 Download Windows 10: Sign in to the Volume Licensing Service Center to download Enterprise editions. 100% Working: The product key is a lifetime license! Brand new & original! 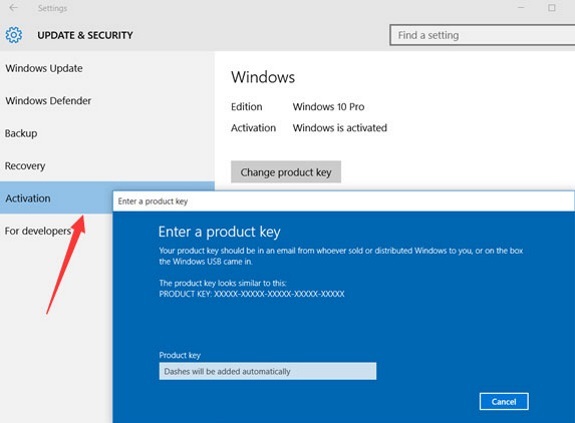 Before you begin, make sure to download and install correct edition of Windows 10. 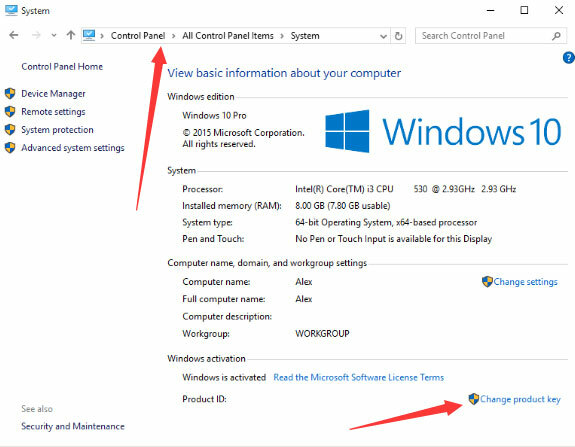 Go to https://www.microsoft.com/en-us/software-download/windows10 to download the official setup files or to create a bootable USB installation media. 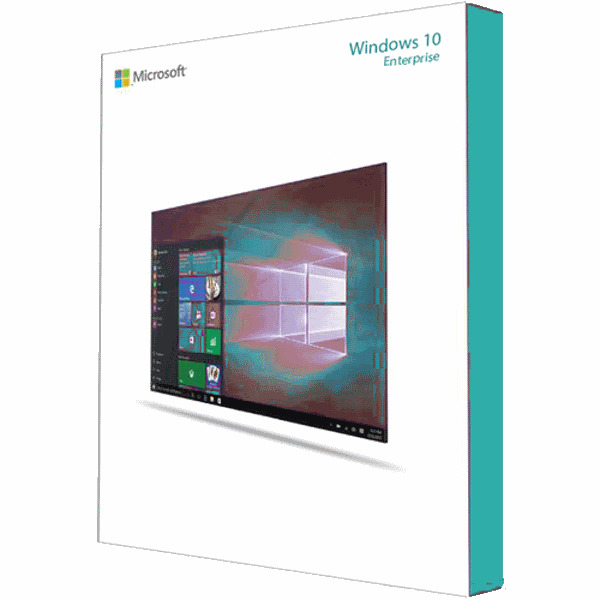 As part of the Windows NT family, Windows 10 is the first version of Microsoft Windows that receives ongoing feature updates. The Organizational editions including: Windows 10 Enterprise, Enterprise LTSB and Education, Pro Education. The main avenue of acquiring them is a volume licensing contract with Microsoft. Windows 10 Enterprise offers quite a few exclusive features that aren't available in the Windows 10 Professional edition. Enterprise Data Protection: Windows Information Protection (WIP), previously known as enterprise data protection (EDP), helps to protect against this potential data leakage without otherwise interfering with the employee experience. 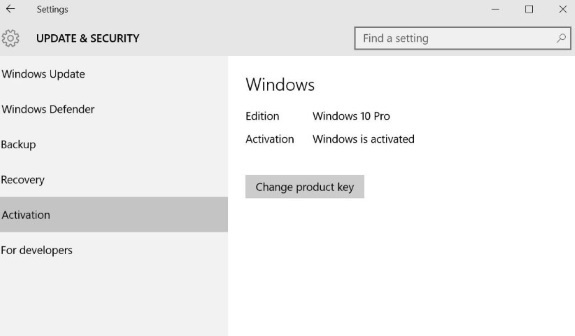 Device Guard: Windows Defender Device Guard is a combination of enterprise-related hardware and software security features that run on Windows 10 Enterprise edition and Windows Server. Provisioning packages: Windows provisioning makes it easy for IT administrators to configure end-user devices without imaging. Microsoft Passport: Microsoft Passport is a two-factor authentication (2FA) system that combines a PIN or biometrics (via Windows Hello) with encrypted keys from a user’s device to provide two-factor authentication. Credential Guard: Credential Guard security feature in Windows 10 offers protection against hacking of domain credentials & helps prevent taking over of enterprise networks. Sideloading apps: Windows 10 marks a big shift in philosophy from Windows 8. In Windows 10, you're free to sideload your own universal apps from outside the Windows store — just as you can sideload apps on an Android phone or tablet. Mobile Device Management: Windows 10 provides an enterprise management solution to help IT pros manage company security policies and business applications, while avoiding compromise of the users’ privacy on their personal devices. Business Store for Windows 10: Designed for organizations, Microsoft Store for Business give IT decision makers and administrators in businesses a flexible way to find, acquire, manage, and distribute free and paid apps in select markets to Windows 10 devices in volume. Azure Active Directory features: With features and capabilities of Microsoft Azure Active Directory, it will help you connect to any application, collaborate, manage, and protect your identities. Free access to Microsoft Desktop Optimization Pack: Using the Microsoft Desktop Optimization Pack (MDOP) to virtualize applications, manage group policy, will help to reduce downtime, and monitor compliance.